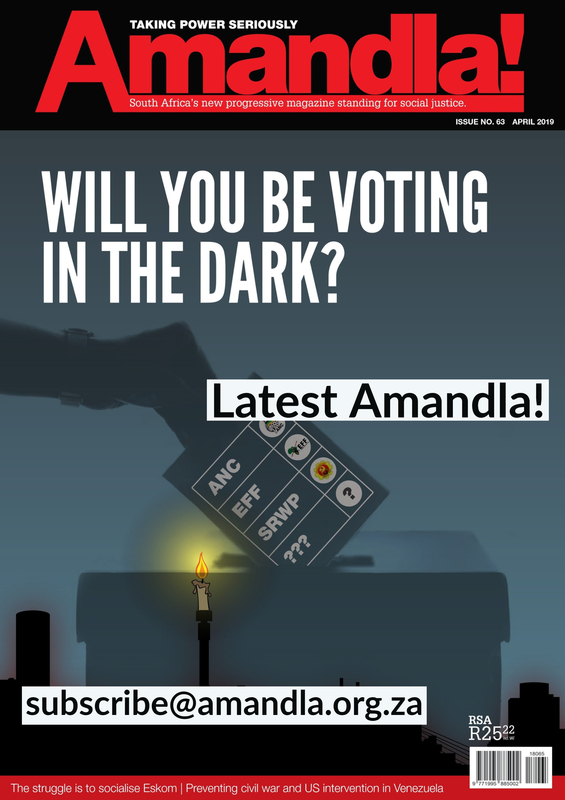 Home › Amandla › Where to go with “zama zama” mining? Where to go with “zama zama” mining? An illegal miner sifts through disused rocks while working in an abandoned gold mine in Springs. With the slowdown of the large scale gold mining sector in the last decade, mines have gone into temporary cessation, warehousing, partial closure, and even been completely abandoned. This has encouraged a different and growing mining phenomenon to emerge in South Africa’s goldfields – unregulated artisanal mining. Unregulated artisanal mining is not recognised in the current mining legislation. 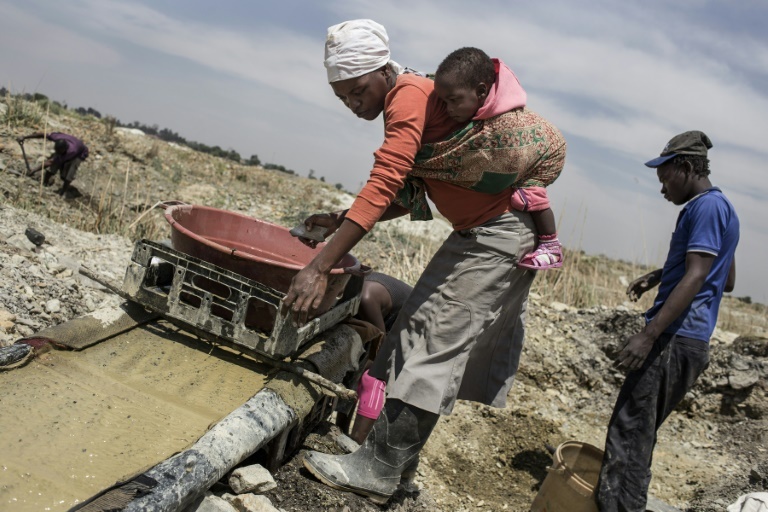 Irresponsible mining practices, including improper or non-existent mine closure, have created conditions that enable unregulated artisanal mining in South Africa’s goldfields. There are reportedly about 6,000 abandoned deep underground mine sites in the country. It is said that one can walk from Springs, in Johannesburg’s East Rand, all the way to Welkom in the Free State in disused underground tunnels, completely undetected. • Failure to monitor Social and Labour Plans and Environmental Management Plans. Zama zamas manually extract metals (and in some cases other stones and sand) from old, disused, unsafe, and abandoned mines. They also sometimes work in operational and semi-operational mines, as well as tailings dams. Thousands of men, and even women, are pushed by high levels of poverty and unemployment to risk their lives to pursue unregulated artisanal mining, in dangerous and abandoned mineshafts, as a way of boosting their livelihoods, and improving their quality of life. Many miners speak of the risks. There are underground safety conditions to contend with. There is the very real possibility of running out of food underground, especially when working for weeks (sometimes even months) at a time. They speak of the lack of air, where ventilation equipment is no longer working. They also report that some have suffocated, especially when they light fires either to keep themselves warm in very cold underground conditions or to soften hard rock areas. And they speak of chest infections, persistent coughs, and physical injuries sustained during frequent rock falls, flooding or other accidents, or because of the lack of ankle-supportive safety boots. And then there is the risk of arrest and detention, as well as violent encounters with other, rival zama zama groups. Zama zamas rarely work individually and prefer to be in small groups with basic tools such as hammers, spades/shovels, and chisels. In some underground mines, they report having to walk for kilometres in water and dark, narrow passages to get to areas where they can identify quality gold in the rock. Open pit mines are also precarious. Women are involved too, though they are rarely found underground, digging. They are the crushers and the service providers. The whole mining and refining process is done manually. After the ore is brought to the surface, it is crushed into a fine sand. The sand is washed with a mixture of detergent, salt, vinegar, and tartaric acid and then with more water and mercury. The mercury attracts the gold particles and separates them from the rock dust. The amalgam of gold and mercury is then heated, the mercury is burned off and the gold remains. Mercury is a dangerous substance which is readily available in the market areas. One small bottle costs about R590 and lasts only one day. Zama zamas handle the mercury with no gloves or masks, taking no safety precautions. The work of the zama zama is physically demanding and the rewards are sporadic. At times they get lucky and find a good gold vein, earning themselves R500 to R1,000 a day. But they can spend weeks underground looking for gold, and make nothing. There is little hard data on the profile of the ‘zama zama’. Observation suggests that the majority are foreign nationals from neighbouring southern African states who bring some artisanal (and small-scale) mining skills with them. But not all are foreign nationals. Neither are they all “illegal immigrants”. And not all zama zamas are connected to criminal syndicates. Government has generally neglected this informal mining sector, allowing negative social and environmental impacts to be aggravated. Occasionally it makes rough attempts to shut down operations and arrest the miners. Neither government nor the formal mining sector is interested in developing the potential of the sector. They do not consider it worth the effort. Informal mining will continue for at least as long as poverty and unemployment drive it. And the rights of individuals to a livelihood must be respected, as must the objectives of meeting basic needs and maximising economic wellbeing. 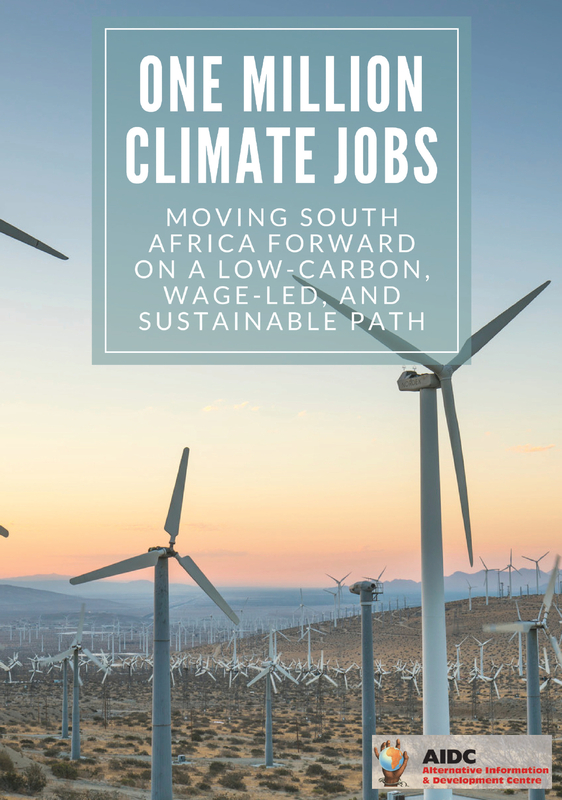 There is potential for growth but a coordinated and collaborative approach is required to improve the contribution of this informal activity to sustainable development. It needs to involve all levels of government, industry, and civil society. Zama zamas, community leaders, researchers, engineers, geologists, social scientists, policy-makers, and other role players involved in unregulated artisanal mining need to coordinate their efforts in order to produce a plan for managing it. The absence of policy and regulation prevents improvements such as partnerships between artisanal miners, and also between largescale mining and artisanal mining. It also prevents improvements in environmental health and local safety. Regulation of artisanal gold mining on a country-wide scale is a daunting challenge, but it is not impossible. Well documented, good practice examples exist in other regions on the continent and in the rest of the world. In Ghana, the government reformed its mining policies to tackle the issue of artisanal and small-scale mining (ASM). A 1989 Small Scale Gold Mining Law legalised and codified ASM. In 1994 Ghana passed the Environmental Protection Agency Act and in 1999, the Environmental Assessment Regulations. The latter requires ASM miners to register with the Minerals Commission which assigns them specific areas to operate. Many galamseys (artisanal miners) were frustrated by bureaucratic hurdles and opted out of the registration process. They continued to operate illegally. The Ghanaian press is filled with accounts of the difficulties met by the Minerals Commission and the Ghana Immigration Service in monitoring foreign illegal ASM miners. The law only allows licences for Ghanaian citizens. In reality, this is far from the case. • The Ghanaian example shows that regulation of artisanal mining is possible but not easy. 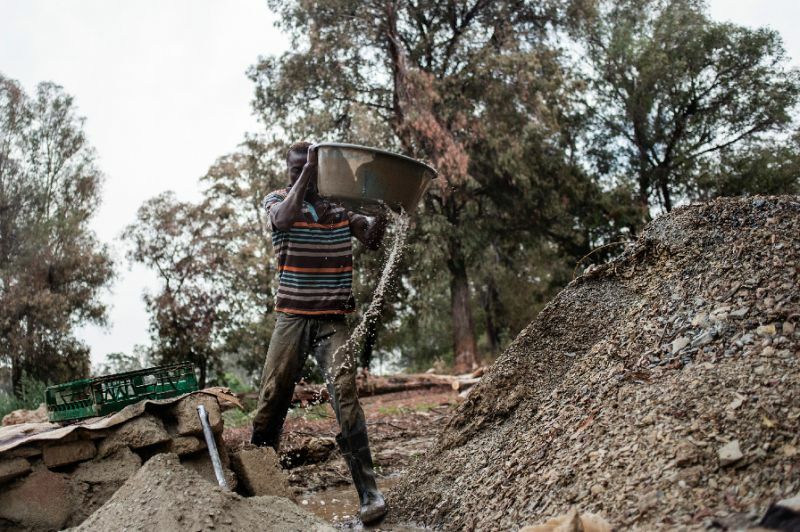 In Zimbabwe, artisanal miners are organising themselves into cooperatives to attract and involve members of the surrounding communities. Women’s mining cooperatives are also emerging in areas where artisanal mining is taking place. In Liberia, there are an estimated 50,000 – 75,000 artisanal diamond miners, of whom between 10% and 20% are women. They mainly pan for gold at diamond sites. If half of their combined income was spent on local goods and services, more than US$13.5 million would be injected into local economies. This creates markets for locally grown or supplied products and increases the cash component of household incomes. This ASM-injected capital may further stimulate local formal and informal enterprises to contribute an additional US$33.75 million to local economies. In Uganda, almost 200,000 women and men are engaged in artisanal mining of gold, tin, coltan, wolfram, and a range of industrial minerals. The average miner is estimated to contribute almost 20 times more to GDP than those employed in farming, fishing, and forestry. Across Africa, where artisanal mining is happening, there is a need for a more holistic approach to addressing issues and challenges. In South Africa, there is no comprehensive framework for improving the practices of unlawful miners. The current practice of simply calling them “illegal” will have the effect of making their activities more dangerous rather than causing them to disappear. Arresting zama zamas will not deter them. There needs to be a greater recognition of the new dawn of artisanal mining as part of South Africa’s minerals industry. Without this, people living in poverty in mining areas will continue to try their luck at dangerous and unlawful zama zama mining, in the hopes of striking it rich. Angela Kariuki is a researcher at the South African Human Rights Commission. Very informative. They also deserve to be protected by the constitution, they are after all human and human rights are enshrined in the constitution, one of the rights is a right to make a living.